According to a Washington Post Journalist who heard the final words of Jamal Khashoggi, who was killed in the Saudi embassy in Turkey, Khashoggi said, "I'm suffocating… Take this bag off my head, I'm claustrophobic," according to the Turkish newspaper Daily Sabah. The paper by Nazif Karaman described hearing the audio recording of Khashoggi's murder in an interview with Al Jazeera Sunday. The audio was recorded within the Saudi consolidate in Istanbul where the Saudi journalist was allegedly heading to get some marriage papers in order. He disappeared on October 2 and a short time later reports of a recording of his death emerged. Karaman reported that the man's death took about seven minutes as a group of 15 Saudi hitmen carried out a meticulous cleanup. The floor was covered in plastic bags and then the poor journalist was dismembered in a mere 15 minutes. He was then led out of the consolute in suitcases while a body double made it appear as if Khashoggi had left. The Saudi's official story has been that Khashoggi left the consulate alive but the Saudi government later admitted that the Saudi-born journalist was strangled inside the consulate after what they described as a "fight fight'. 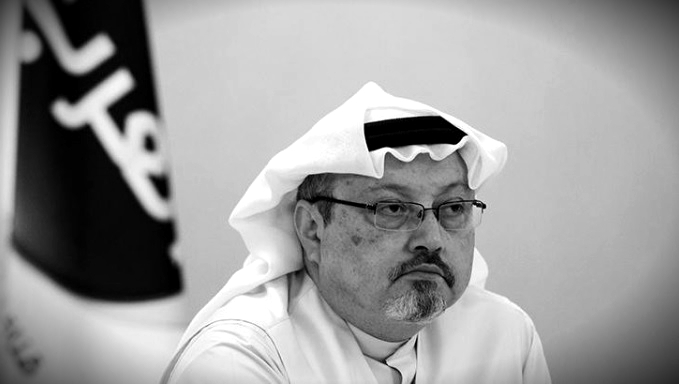 The journalist's body has still not been found and it is most likely that it never will since there was a trace of acid discovered at the Saudi consul genera's residence in Istanbul suggesting his body was dissolved. Cengiz, Khashoggi's fiance, reacted to reports that Khashoggi's body had been dissolved saying, "I’m unable to express my sorrow to learn about dissolving your body, Jamal! They killed you and chopped up your body, depriving me and your family of conducting your funeral prayer and burying you in Madinah as wished. Are these killers and those behind it human beings? Oh my God!" Sadly, the death will most likely go covered up in an espionage war between world powers. But one will always wonder, was Khashoggi's murder a man at the wrong place at the wrong time or did he know something so valuable he was worth killing to destroy. The Turkish president gave copies of the recording to several countries. "We gave the tapes. We gave them to Saudi Arabia, to the United States, German, French and British, all of them," the Turkish president said. "They have listened to all the conversation in them. They know." It leaves one to wonder what is the secret message that the Turkish government shared with the other world leaders? Was a message from those in control of Saudi Arabia or was it pure chance that one of many executions carried out the behest of a royal prince happened to be caught. Perhaps the real problem the world should be discussing is why are we allowing these government against government espionage and murder? Does there really need to be another Skirpal attack or a Khashoggi recording? It's 2018, perhaps we should ascend some of the differences and learn how to work together and look outward into space for more wealth, resources, and eventually another live. Elon Musk has his priorities straight, the government's of the world should be focused on the future. what are my thoughts on the above story? WHAT STORY? it's all a bunch of innuendo and cut and paste "reports" w/the final paragraph throwing in president trump for good measure… what the hell is the matter w/so called reporters? this sounds like a national inquirer story….. stfu…. The real question is what is Erdogan jockeying and positioning for? What he is trying to get out of this? His Government is no better than the Saudis, so what is his end game here? Seems to me this is a power grab situation and him opening a door for US weapons deals with Turkey. He could care less about what the Saudis did to Khashoggi, or about the death of any reporter. He is an anti-western Muslim, from what I have seen and isn't trying to be helpful for any reason other than personal gain.